On Sunday, Israeli Foreign Affairs Minister Avigdor Liberman stepped down from his post following charges arising from a 13-year investigation against him. 972 Magazine's Noam Sheizaf analyses Liberman's decision and what it will mean for Likud Beiteinu, the new joint list of Israeli Prime Minister Benjamin Netanyahu and Liberman's party Yisrael Beiteinu. 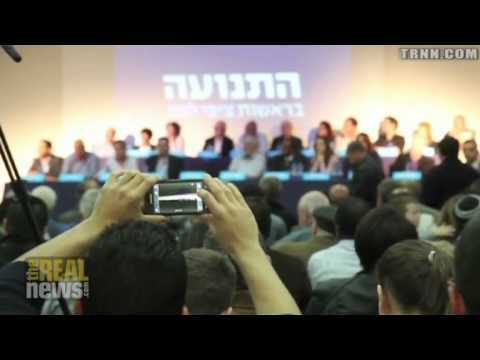 The Real News' Lia Tarachansky interviews Sheizaf also on the self-declared opposition headed by Labor Party's Shelly Yechimovitch, Tzipi Livni's HaTnuah, and Shaul Mofaz' Kadima.